Our colourful costumes and lively showmanship will ensure your event is both a musical and visual feast. We perform regularly at corporate, community, private and charity events and are available for shows, parties, birthday celebrations, concerts, weddings, gallery openings, club functions, Christmas gatherings, etc. Our quartets are also available to sing separately or jointly with the chorus. Bookings﻿: ﻿﻿﻿﻿﻿﻿Adelaide S﻿o﻿und Connection loves to sing and perform - whatever the venue or audience. 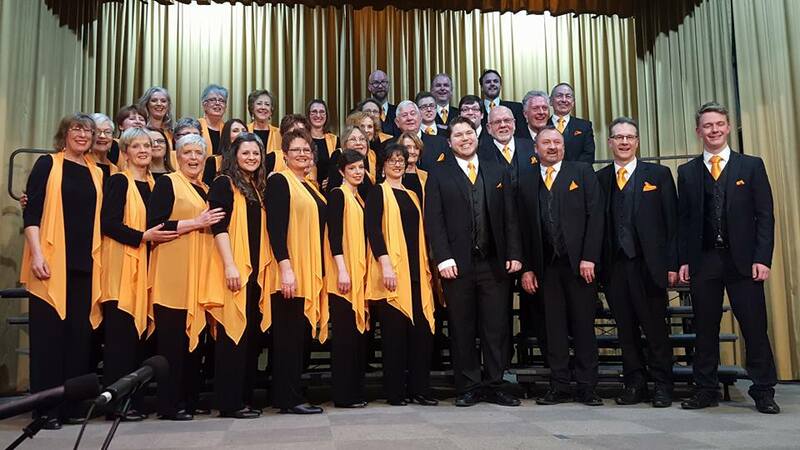 The Chorus provides a distinctly different style of entertainment from other musical groups or choirs. 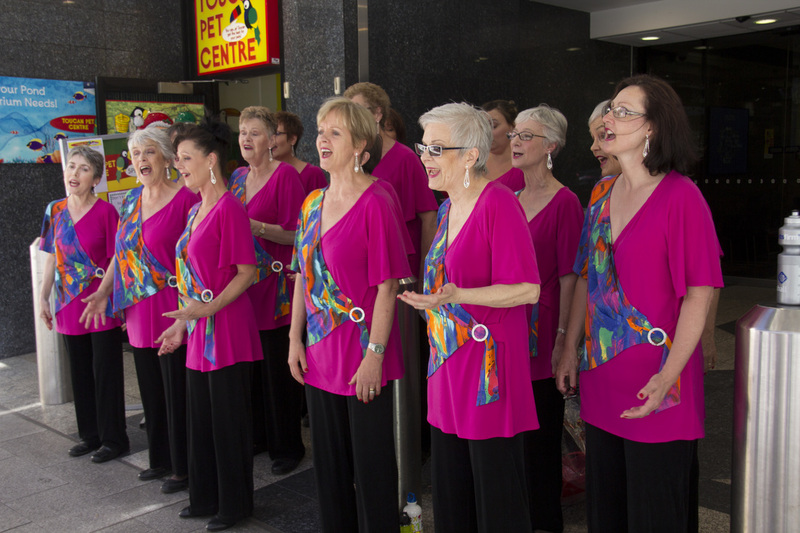 With a wide repertoire - including Australian songs, ballads, love songs, upbeat tunes as well as seasonal Christmas songs - the chorus is able to entertain any audience. Join us for an afternoon of entertainment featuring music from Adelaide Sound Connection and associated quartets and followed by a showing of the blockbuster movie Mamma Mia, Here We Go Again! A vocal celebration featuring the world renowned Victoria Welsh Male Choir and Adelaide’s premiere women’s a capella choir, Adelaide Sound Connection. Bringing you a range of contemporary, classic and traditional songs from a variety of genres. With special guest soloists Andrew Crispe and Katrina Mackenzie, this will be a special event for all lovers of vocal music. Barbershop Harmony Association Central Region Competition, Marion. Barbershop Harmony Association Central Region Competition, Marion Uniting Church, Marion.